The Department of Military Science—also known as the Army ROTC (Reserve Officers’ Training Corps) is available at UNC-Charlotte. Participation in Army ROTC enhances the education of both men and women by providing world class leadership training opportunities applicable in corporate, executive, and government leadership positions, along with practical hands-on expertise in these areas. 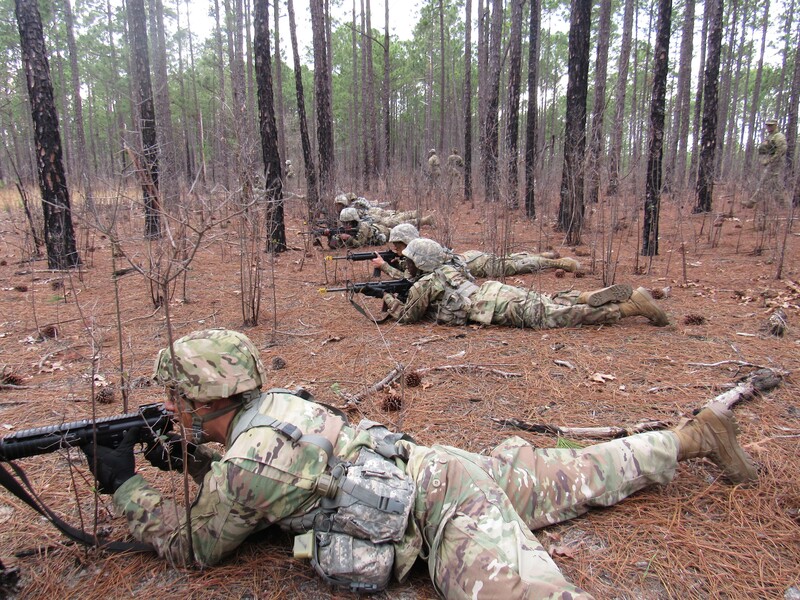 A student participates in the Basic Course to develop leadership skills, then decides to continue in the Advanced Course in order to pursue a commission as an officer in the United States Army, Army Reserves or Army National Guard. The Army ROTC program is designed to complement the student's major area of study and is compatible with most. Students not interested in Active Duty can be guaranteed a commission in the Army Reserve or National Guard through the Guaranteed Reserve Forces Duty (GRFD) Program and eligible to participate in the Partnership for Youth Success (PaYS) Program. The PaYS Program guarantees an interview with partnering Fortune 500 companies. The Basic Course and the Advanced Course comprise of the Military Science curriculum. The Basic Course is usually taken during the first and second years, and covers such subjects as management principles, national defense, military history, and leadership development. Enrollment in the Basic Course can begin in any term in the first and second years, and does not require prior JROTC experience. No military commitment is incurred for participation in the Basic Course. For students that can't complete the Basic Course before the start their junior year, attendance at a four-week Basic Camp at Fort Knox, KY is an option. The aim of the Basic Camp is to motivate and qualify Cadets for entry into the Advance Course curriculum. After completing the Basic Course, students who have demonstrated the potential to become officers and who have met the physical and scholastic standards for commissioning are eligible to enroll in the Advanced Course curriculum and take part in the two-year program. Students pursuing a military commission can receive Basic Course credit by completing Military Science 1000- and 2000-level courses, attending the Basic Camp at Fort Knox, KY, or by completing a Military Basic Training. The Advanced Course is taken during a student’s last two years. It includes instruction in organization and management, principles of training management, tactics, ethics and professionalism, further leadership development, and physical fitness training. During the summer between their third and fourth years, Advanced Course students pursuing a military commission will attend a fully-paid, four-week Advance Camp at Fort Knox, KY. This course gives students the chance to put into practice the leadership theories and principles, and military skills learned in the classroom, and introduces them to how the Army functions in a field environment. Advanced Course students must complete Military Science 3000- and 4000-level courses and one 3-credit hour approved American military history class. The Military Science 3000-level courses must be taken in sequence. Students not pursuing a military commission would receive the same credited class and lab hours but would not participate in the following: normal leadership labs (would follow alternate lab schedule provided by Instructor), physical fitness program, field training exercises, nor attend Advance Camp. Completion of the advanced course results in a Minor in Military Science. See Military Science Minor requirements found at the "Undergraduate Program Information" tab under Cadet/Student Information.